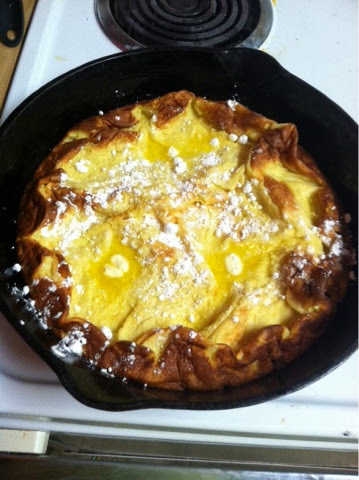 So a Dutch Baby is something I have never heard of. I am a part of a mommy group on Facebook and one of the mom's posted that she makes them for breakfast for her kids. Well they seemed pretty simple so I gave it a shot! The edges got a little to brown but my oven is wonky. However, these were kid approved...even my picky eater egged for more.